Maeve Higgins is a writer, comic and actor. Her new film, Extra Ordinary, premieres at SXSW in March 2019. 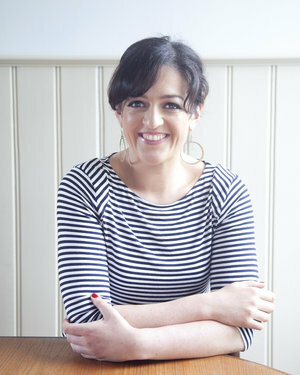 She is contributing writer for The New York Times and her latest book Maeve in America was published by Penguin in 2018. Her podcasts include Maeve in America: Immigration IRL, My Best Break Up and Mothers of Invention. She has done stand-up all over the world, including in her native Ireland, Edinburgh, Melbourne, and Erbil. Now based in New York, she cohosts Neil deGrasse Tyson’s StarTalk and has also appeared on Comedy Central’s Inside Amy Schumer and on WNYC’s 2 Dope Queens.